Raising Jack With Celiac : Freedom Foods is Coming to a Store Near You! 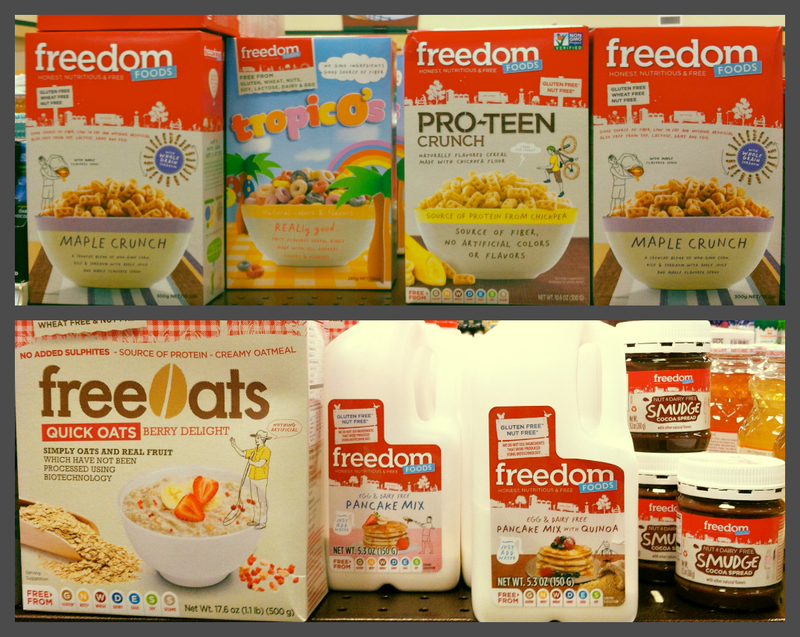 Freedom Foods is Coming to a Store Near You! Just in time for Independence Day, Freedom Foods has landed in the United States! Based in Australia, Freedom Foods is bringing their tasty gluten free foods here to the states. I've had an opportunity to sample their cereals on a few different occasions at gluten free expos and I'm happy to report they have landed in a store here in Tennessee. Returning from a visit to Indiana, I went grocery shopping this past Sunday and was delighted to find Freedom Foods products in the gluten free section at my local Kroger grocery store. I've sampled their cereals - Maple Crunch, tropicO's and PRO-TEEN. Maple Crunch: Tastes maple-y and may remind you of eating some gluten-free pancakes. tropicO's: Maybe their most popular among the kiddos - these taste like Fruit Loops. The also have oats, pancake mixes and Smudge Cocoa spread - which sounds DIVINE! I haven't tried any of these, but looking forward to doing so. So keep an eye for these products, I think you'll be pleased with their cereals and having a new option for your gluten-free kiddo & you too! I am so excited about this! I first met the wonderful people of Freedom Foods at the GFAF Expo in September and the only place at the time they were available was a few select products on Vitacost! I am so glad to hopefully see them quickly expand!